The bipartisan proposal — born out of discussions within the state’s Nuclear Energy Caucus (NEC) last year — would add nuclear energy into the Alternative Energy Portfolio Standards (AEPS) Act. The 2004 law mandates electricity distributors boost usage of renewable or alternative energy sources to 18% by 2021. Nuclear generation supplied about 42% of the state’s net generation in 2017, compared with 4.5% for renewables, according to the U.S. Energy Information Administration. Exelon’s Three Mile Island nuclear power plant is in Pennsylvania, where the company is working to get subsidies for nuclear generation. Sponsoring legislators urged support from other members to thwart a projected $4.6 billion annual cost to taxpayers should the state’s five nuclear facilities deactivate — including $788 million in increased electricity rates, a $2 billion GDP loss, $1.6 billion carbon emissions-related increases and $260 million lost to managing harmful criteria air pollutants. Proponents of the measure — including Nuclear Powers PA — say nuclear energy deserves inclusion in AEPS because it provides 93% of the state’s zero-carbon electricity. Rescuing the state’s aging generators from decommissioning could likewise preserve up to 16,000 full-time jobs and $69 million in state tax revenues, they contend. Power generators, natural gas industry advocates and industrial electricity consumers argue nuclear generation companies, like Exelon, shouldn’t expect ratepayers to bail them out for failing to adjust to the competitive electricity market — particularly when cleaner and cheaper alternatives exist to fill the void. Glen Thomas, president of GT Power Group and former chairman of the state’s Public Utility Commission, told This Week in Pennsylvania a state bailout undermines the current market infrastructure and should be avoided. Tony Iannelli, NPP co-chair and president and CEO of the Greater Lehigh Valley Chamber of Commerce, said correcting a faulty electricity market, preserving jobs and boosting air quality remain a “critically important effort.” Including nuclear energy in AEPS will add resilience to the power grid and prevent 37 million tons of carbon dioxide emissions annually, according to the legislative memo. 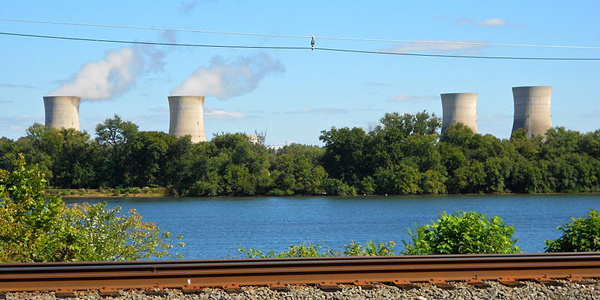 Paul Adams, Exelon’s senior manager of corporate communications, said updating Pennsylvania’s AEPS to include nuclear energy among the 16 other forms of renewable and alternative energy options detailed in the law makes sense on multiple fronts.